Richard Childress Racing teammates finished fourth(Jeff Burton), seventh (Kevin Harvick) and 24th (Paul Menard) in the first Duel 150 qualifying race. Elliott Sadler finished fourth in the second 100-lap event. Burton ranked third in the Loop Data category Green Flag Passes with 109 made in the 60-lap race. He also maintained 100 percent of the contested laps running in the top-15. 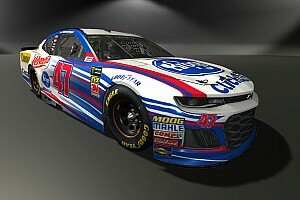 Sadler ran inside the top five for 33 laps and ranked third in the Loop Data category Fastest Drivers Early in a Run with a speed of 198.195 mph. Sadler scored an average running position of 7.117, ranking him seventh-best according to NASCAR Loop Data Statistics. Harvick led posted the second-highest average running position of 4.383 while Burton maintained the sixth-best average of 7.350 according to NASCAR Loop Data Statistics. Harvick ranked third in the Loop Data category Fastest Drivers Early in a Run with a speed of 196.381 mph. Menard spent eight of his eight completed laps running in the top-15, running as high as second before being eliminated from contention in a lap nine multi-car accident. Menard ranked third in the Loop Data category Fastest On Restarts with an average speed of 197.854 mph. Paul Menard started the first Duel 150 qualifying race from the eighth position, but found himself watching the final laps from the team transporter lounge after being collected in a multi-car accident. A victim of being in the wrong place at the wrong time once again at Daytona International Speedway, the Eau Claire, Wis., native drove the No. 27 PEAK/Menards Chevrolet up to the second position before dropping back to 13th where he was running when he was caught in the lap-eight melee, relegating him to a 24th-place result. Menard will start Sunday's 54th running of the Daytona 500 from the 37th position. PAUL MENARD QUOTE: "It looked like somebody turned (David) Gilliland. I tried to clear him. I kept my foot on the gas and just missed escaping the wreck by a little bit. We tore up two really good race cars so far, and not by our doing. I'm concerned we're not going to finish the Daytona 500. I think there is a chance we may ride around in the back and try to be there at the end. I think we'll all breathe a sigh of relief if we can get past lap eight on Sunday. We are two for two in being knocked out on that lap here." Kevin Harvick scored a seventh-place finish in Thursday's first Duel 150 at Daytona International Speedway, earning the No. 29 Budweiser Chevrolet team a 13th-place starting position in Sunday's Daytona 500. Harvick started Thursday's race from the 12th position. He ran as high as second and as low as 13th as he moved around in the pack during the 60-lap qualifying race. He was running in the 10th position when the caution flag first waved at lap eight for a four-car wreck that included his RCR teammate Paul Menard. Harvick radioed to the team the Budweiser Chevrolet was running hot in the pack so he had tried to back up a bit to get some air in the grille in an effort to help lower the car's water temperature. The team pitted for four tires and fuel at lap 10 and Harvick brought the Budweiser Chevrolet back in for a final stop two laps later to top off with fuel. For the second half of the race, the leaders ran single file until the caution flag waved again at lap 52. Crew chief Shane Wilson elected for the team to stay out and Harvick restarted in the second position with four laps to go. Harvick planned to draft with Tony Stewart in the final laps, but wasn't able to hook up with the No. 14 Chevrolet and drifted back several spots trying to find someone else to work with. The caution flag waved on the final lap, freezing the field, and Harvick was credited with a seventh-place finish. KEVIN HARVICK QUOTE: "The temperatures are just way too hot; you can't really race. Everybody is just trying to position themselves for the last lap. The grills are so tight that, at 240 degrees in the pack, you are just sitting there and you can't really make a move. That's why everybody was so content to stay single file. I didn't really know what to do there at the end. Tony (Stewart) was way out ahead of everybody by himself. I thought he was going to back-up and he didn't back-up. I just backed up too late." Jeff Burton and the No. 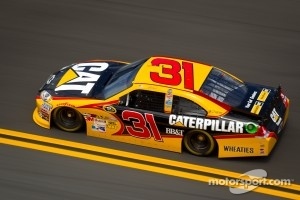 31 Caterpillar Chevrolet team finished fourth in the first Duel 150 qualifying race at Daytona International Speedway. After finishing 23rd in Daytona 500 qualifying on Sunday, the South Boston Va., native started 13th in the first of two 60-lap showdowns that determine the starting lineup for the 54th annual Daytona 500. Immediately, Burton vaulted into the top five where he would stay until the first caution flag period of the day waved on lap nine. Burton radioed to crew chief Drew Blickensderfer that car was "pushing" a little bit in the 31-degree banked corners of the 2.5-mile superspeedway. Blickensderfer called the veteran driver to pit road for fresh Goodyear tires and fuel. Upon return to green-flag conditions, Burton used the long caution-free run to test different lines on the track to prepare for Sunday's 250-lap main event, never falling out of the top 10. Late in the race, Blickensderfer communicated to the 44-year-old driver that the No. 31 Chevrolet was 1.5 laps short on fuel. However, the break they needed came in the form of a late caution with only eight laps to go. That gave fourth-place running Burton the opportunity to come down pit road and get enough fuel to make it to the finish of the 150-mile thriller. Burton exited the pits in the fifth position, ready for the four-lap shootout to the checkered flag. 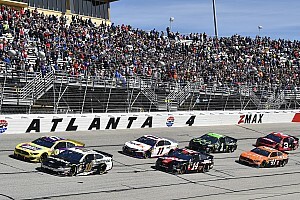 On the final lap, Burton made a strong run to the outside in turns one and two, but a wreck on the backstretch forced NASCAR officials to wave the caution flag, freezing the field as they were running and relegating Burton to a fourth-place result. With the top-five effort, the No. 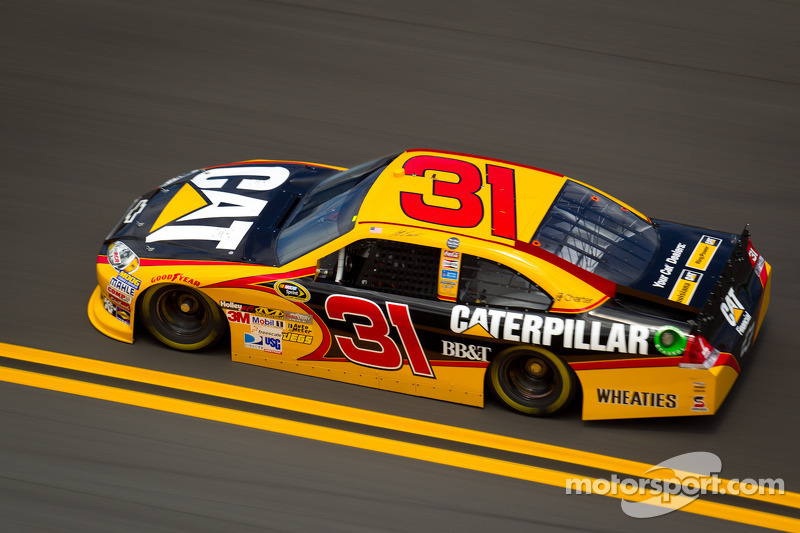 31 Caterpillar Chevrolet team will start ninth in Sunday's Daytona 500. JEFF BURTON QUOTE: "I think we learned a lot. It's hard. It is a big challenge to try to separate yourself from the pack, especially when everybody is trying to do the same. That in itself almost causes some of the wrecks. So, it's hard. They are borderline too hot. If you run too long, you get the engines too hot. It's just a real challenge. I think what you saw today is what you are going to see on Sunday. It's just hard to make any ground up. You make a move trying to be aggressive and you lose a spot. It's very much going to be a 'protect your position race' until you get yourself in the last little bit. Then, you are just going to have to go like hell and hope for the best." Elliott Sadler advanced 12 spots from his starting position in Thursday's second Duel 150 qualifying race at Daytona International Speedway, scoring a fourth-place finish that will line up the Richard Childress Racing team 10th for Sunday's 54th running of the Daytona 500. The Emporia, Va., native rolled off the starting grid from the outside of row eight for the 60-lap showdown and had motored his way up to sixth on lap 13 before minor contact with a competitor got Sadler loose. As a result, he lost the draft and 10 positions in the process. The veteran driver quickly collected himself and focused on returning to the front, notching the 10th position at lap 22, seventh at lap 26 and moved into the fourth spot two laps later. He returned to the same position after crew chief Gil Martin called the General Mils/Kroger Chevrolet to pit road for a can of fuel on lap 42. Sadler moved to fifth with seven laps to go and found fellow Chevrolet teammate Kurt Busch as a drafting partner in the closing laps. 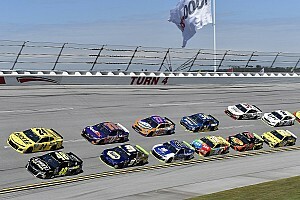 As the miles winded down, the duo quickly moved to the top side of the famed superspeedway, hoping to build enough momentum to make it to the front. Unfortunately, time ran out but not before Sadler advanced one spot in the 24-car field to finish fourth. ELLIOTT SADLER QUOTE: "It was great, man. Halfway down the backstretch, we actually thought we were going to win the race. We got hooked up with Kurt (Busch) and when we had to go around those other guys, we just came unhooked. We should have won the race. Man, if I would have stayed hooked to him, we would have won. I am just so proud of this General Mills/Kroger team. They have come a long way since last Saturday when we unloaded. We know what to do to this thing to make it good for Sunday. We will do that and take care of it."